Come and Witness the one of a kind Concert which would feed your souls and bodies at the same time! Soothing melodies by the one and only " Strings" & heart throbbing chicken burgers from the taste masters "Hardees". Opening Performance by " Mehrang The Band" & "Anarchists" !! 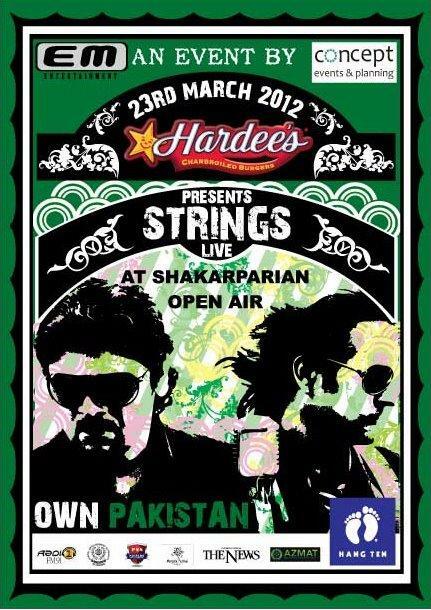 "OWN Pakistan" on the 23rd March!